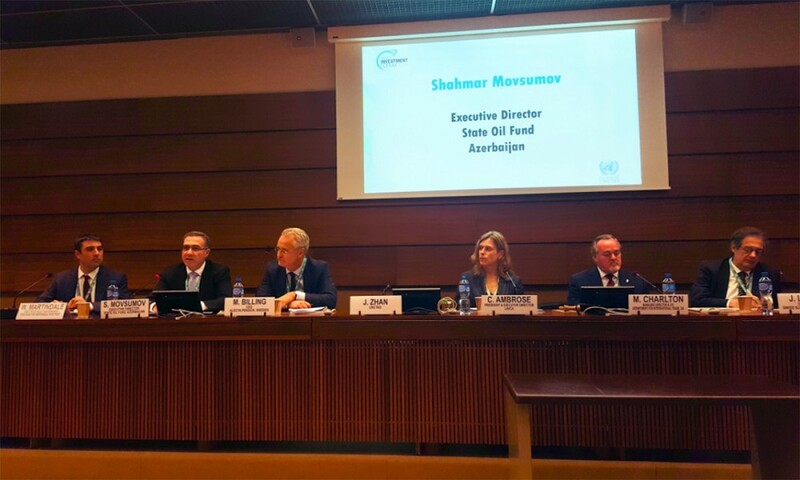 Executive Director of the State Oil Fund of the Republic of Azerbaijan (SOFAZ) Shahmar Movsumov is participating in the 10th UNCTAD World Investment Forum in Geneva, Switzerland. At the Forum entitled "Investing in Sustainable Development", participants discuss global challenges for international investment in the new era of globalization and industrialization, gather to brainstorm solution-oriented initiatives and build global partnerships to advance prosperity for all. More than 6000 delegates from 160 countries are taking part in the event. Movsumov participated in a panel as a speaker on Sovereign Wealth and Pension Funds Dialogue session.